If you’ve ever spent a significant amount of time with a toddler or preschooler, you may be aware that for many littlies, the toilet is the last place they want to poop. But why is this alfresco habit so popular amongst the toddler set? And what’s wrong with the good old loo? “Some kids have a fear of flushing the toilet and hearing the loud flow of water gushing into the toilet,” physician Dianah Lake, told Fatherly. Which makes complete sense. Janet also says that the responsibility of that goes with using the toilet or potty – and being a ‘big boy’ or ‘big girl’ now – can worry some children. 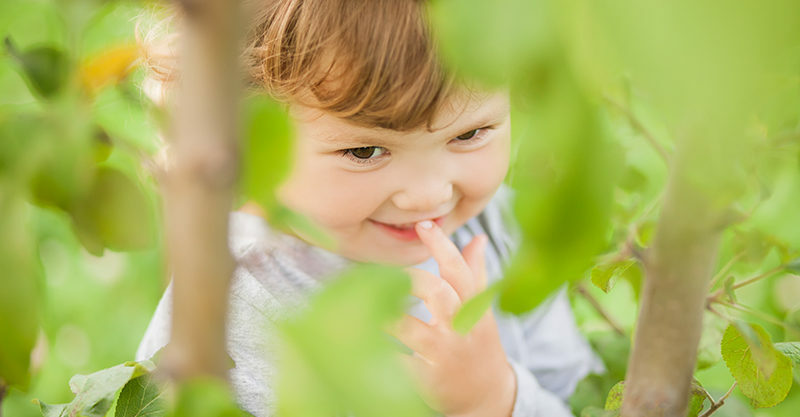 While those are some pretty deep seated reasons to avoid the bathroom, perhaps there are other reasons your little one might prefer to poop in the woods, so to speak. For one, being outside is relaxing. All that fresh air and running about gets the blood flowing and the system moving. Before you know it, you’ve got a kiddo nugget in your daffodils and is that really such a big deal? Or perhaps once they’re outside, they forget their cares and worries about growing up or disappearing body parts – and simply do what comes naturally. Let it go-oooooo! If your kid is an outdoorsy pooper, stay positive, be patient, avoid using words like ‘push’ and be guided by your kiddo. Continue to encourage them inside – and chat to your GP if it seems to be becoming a habit.